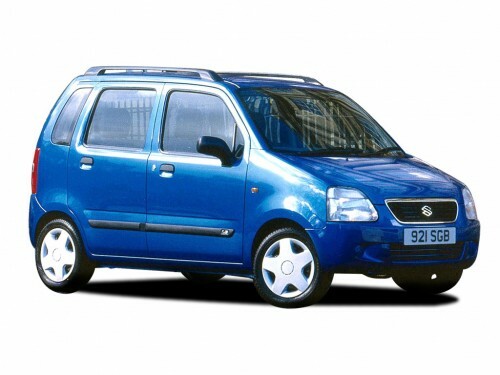 The Suzuki Wagon R has a new exterior design; the car looks less like a van with softer curves. The Wagon R comes fairly well equipped and delivers the same practicality that made it so popular in previous models. The Wagon R is easy to drive and comes with only one engine choice. The car has a similar shape as some rival brands but delivers better performance. The car comes in 1.3 or 1.2 GL, with either five-speed manual or four-speed automatic transmission. The car’s engine can struggle when carrying a full load. Steering is light and the car is easy to maneuver through town or crowded mall parking lots, but the Wagon R struggles more at motorway speeds. The car can become tiresome to drive for lengthy periods on the motorway, but delivers an excellent ride while city driving. The car isn’t comfortable on longer journeys however, with road and wind noise becoming too intrusive at motorway speeds. The Suzuki Wagon R’s seats are also only comfortable on shorter trips; they lack the support necessary to make them comfortable for longer periods. The Wagon R is an inexpensive car to buy and own. The car delivers excellent fuel economy and enjoys low insurance rates. The car should prove to be reliable and delivers good value for the money. The car delivers enough space for all passengers. Due to the high roof head and legroom are good all-round. The boot is a decent size and is able to hold a good bit of shopping. The car’s controls and displays are straightforward but seem a little dated. The switchgear gives the cabin a more dated look than some rivals. Everything works and is easy to find. The car provides adequate comfort on short trips. Longer trips become uncomfortable due to unsupportive seats. Motorway travel can become tiring due to excessive wind and road noise. The car is easily accessible. The car’s doors open widely and provide excellent access to the car’s cabin. Once inside, passengers shouldn’t have any problems settling into the car’s seats. This is a simple car to park. Steering is light and the car is small and maneuverable. Visibility is good all-round and the car fits easily into even the smallest parking space. The Wagon R is clearly not designed for performance, but it is an easy car to drive and park. The car offers a lot of practicality and makes a lot of sense in town. It’s small and economical to run. A very small family may be able to get away with using the Wagon R as a family vehicle for a while, but the car makes more sense as a second car to a family. The car provides adequate cabin space and the boot is a practical size when used as a second car. The Wagon R would also make an economical commuter car. The Wagon R would make an excellent first car. The car’s style may not appeal to younger drivers but the car makes sense. The car enjoys low insurance rates and good fuel economy. The car is easy to drive and easy to park, provides adequate cabin space and is affordably priced. Suzuki has really improved the levels of performance in the Wagon R. Outside, the exterior has received some much needed enhancements and modern touches, and inside the cabin boasts a practical look and feel. Cabin plastics are of a reasonable quality. Badge snobs will not give the car the time of day, but more practically minded buyers will appreciate what the Wagon R has to offer. The car’s standard security features include remote central locking, deadlocks and an engine immobiliser. It’s a little disappointing that the car does not come standard fit with a security alarm. The car’s safety features include driver and passenger airbags, side impact beams and a strong bodyshell. This is a good level of standard safety for the Wagon R.
The car’s standard audio system includes a radio with four speakers. The unit provides good sound quality and helps to drown out outside noise. The car comes with electric mirrors, clear lens headlamps and upgraded upholstery. Special edition models include alloy wheels, front fog lamps, metallic paint and a body colour spoiler. The Wagon R offers a lot of practicality. The car comes with a decent level of standard equipment and offers good value for the money. The Wagon R also outperforms many of its competitors.